Which UPS System Will Suit My Needs? 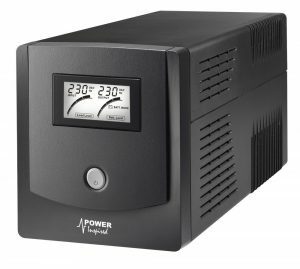 UPS, as it is commonly called, the Uninterrupted Power Supply comes in different types, each of which has a different property and can be used for a specific reason. All of the UPS systems have a rectifier that converts normal AC power into DC power, while an inverter converts it back to AC power. The stored energy is saved in the batteries and is used when there is a disruption of power. Here is the guide for you by the best UPS manufacturers in Chennai to decide which type will suit your needs. What will be the power consumption of the load that you intend to use the UPS on? What is the type of load that you need the UPS for? What is the criticality of the load? What is the environment in which the UPS will be used? What could be the runtime that is required for the UPS? What is the budget that you can set aside to buy this UPS? If the load is made up of computers and its related power supplies, then either sine-wave or square-wave products can be used as it will give the required power for these. A square-wave system is designed only for a basic operation of the computer system, only to shut it down in case of a prolonged failure in power supply. If the load is inductive equipment like motors, pumps, transformers, etc., then only sine-wave products can be used. Loads that could be sensitive to disturbances in the power supply like analytical equipment or audio applications need only a sine-wave system. During operation, some UPS systems can be a little noisy due to the cooling fan available inside it. Usually, people prefer a UPS that is quiet in operation as it would suit both the home and the office atmosphere. The place where you intend to keep the UPS should also be kept in mind when deciding on the UPS. Some of the types of UPS can fit into small spaces whereas some will need a considerable amount of space. The runtime should also be considered when choosing the right UPS. 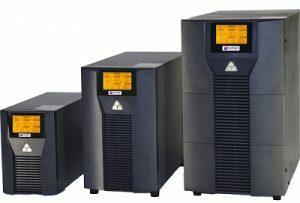 There are three main types of UPS systems that are available in the market, read below to get an introduction to these. You need to choose that which is suitable for your needs carefully. Online UPS: An online UPS can give the maximum protection to your equipment when you consider the power angle to it. The power is given to the load in the same manner as the main power supply; it is consistent. Even if there is any power interruption to the UPS device, the output power is given properly without any disturbances. The inverter is also always in power ON position enabling the unswerving power supply to the load. Offline UPS: This type of UPS is suitable for small businesses and homes where the main power supply is never a point of concern. Offline UPS gives the basic protection for your electronic equipment by giving a consistent output power even when there is no or inconsistent input power. Unlike that of the online UPS system, when there is a switchover of power, there is a break in supply for one-thousandth of a second. Hence, this type of UPS may not be suitable in places where the load is of a very critical nature. Line Interactive UPS: A line interactive UPS is much better in voltage regulation when compared to the offline UPS systems. It regulates the output voltage when the input voltage can be too high or too low. The batteries have a better life as the system does not go to the battery when there are fluctuations. Just like the offline UPS, there is a small break in the power supply when the power lines are changed to UPS power and vice versa.